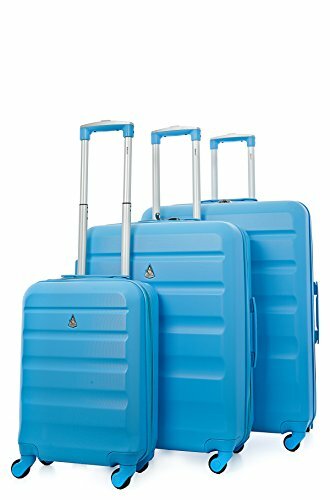 The Aerolite Lightweight ABS Hard Shell Travel Suitcase Luggage Set is a 3 piece set which looks good, keeps the contents safe and is easy to carry. It has a hard shell and wheels to help you move around a busy airport. With a well-planned interior it takes the strain out of packing and will help get your holiday off to a good start. 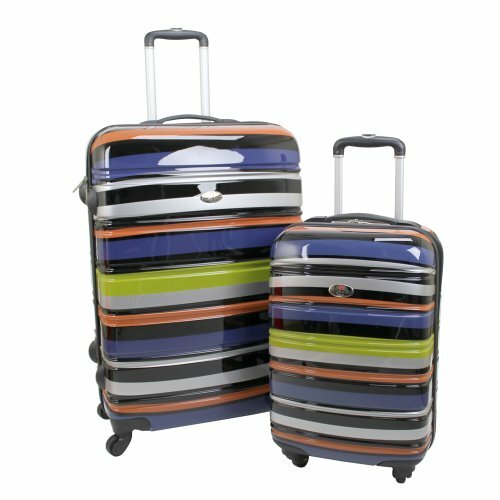 The Aerolite Lightweight ABS Hard Shell Travel Suitcase Luggage Set helps keep your packing in place while you travel. The interior has compression straps on the bottom and the top has separate compartments for shoes, cosmetics and smaller items. The set comes with three different sizes of case, so you can choose for a weekend away, a week’s holiday or a family holiday. 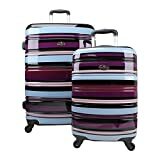 The Aerolite Lightweight ABS Hard Shell Travel Suitcase Luggage Set has four spinner wheels which rotate through 360 degrees, giving you good control over your case. The cases have double tube retractable grip handles or if you prefer to carry your case they have handles on the top and on the sides. The cases have an ABS hard shell which makes them robust for all journeys and they come with a free 3-digit combination barrel padlock for added security. 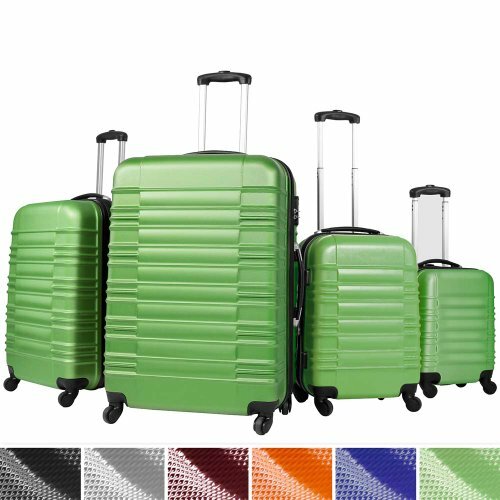 The Aerolite Lightweight ABS Hard Shell Travel Suitcase Luggage Set has three different sizes of suitcase, so you can select the right size for any journey. The inside is well planned to keep everything secure during transit, and it’s easy to use with a choice of carry handles or wheels. 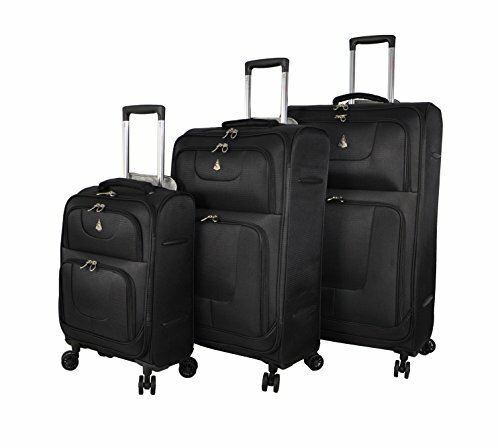 The shell is hard plastic to withstand the knocks incurred during travel, and the price means you can have an excellent luggage set which is easily affordable.